New marketplace offers work-in-progress fonts for bargain prices. The software industry adopted a similar approach years ago, and there's no reason why it couldn't work equally well for type design. Here are four reasons the Future Fonts model could be the best thing that's happened to the type industry for a while. 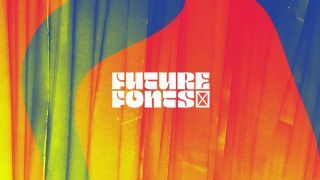 All the typefaces on Future Fonts are still being developed, which means they're just about the freshest typefaces around– and they won't have been used in a million ads or branding campaigns already. As well as helping graphic designers stay ahead of the curve when it comes to typography trends, there are benefits for type designers too. Only the best ideas will attract attention and customers, so this is a great way to see early on if there's a market for your design. Often, to get exactly what you want, you need to shell out – and the best typefaces don't come cheap. With Future Fonts, the price of a typeface goes up with each updated release. If you spot a typeface you like, you can purchase it for an early bird price, then get free updates as they're released. If you have a good eye for fonts, this is a win-win way to keep your designs fresh without devaluing the creative process. A more sustainable process lowers the barriers to entry into the type design industry, so more budding designers can get involved. And that's a good thing for everyone. Future Fonts promises to make type design a more collaborative effort. It's an online community space for type designers and fans, where experts can share their expertise by commenting on other works in progress. Although the site doesn't require type designers to finish every project, the moral and financial support provided by this approach aims to help type designers on their way over the finish line. If you're intrigued, you can find out more in this Medium post.